ZigBee recently announced an update to the ZigBee Home Automation standard. What’s significant about this announcement? ZigBee Home Automation 1.2, is a groundbreaking update to the industry leading standard creating smarter homes around the world; this update enhances and delivers new features and benefits that improve the comfort, security and energy management of consumers and enable new business models for service providers worldwide. ZigBee Home Automation 1.2 is significant as it adds several important new features that greatly enhance consumer experience, enable expanded service offerings, add new energy awareness features without necessarily connecting to an electric meter and augment functions for devices such as door locks, appliances and a range of sensors. ZigBee Home Automation is a preferred standard because it offers a combination of low power, reliability, security and scalability that is unmatched in the industry. Who are the major home automation players in the ZigBee Alliance and how many other companies support the standards? Home automation systems have evolved significantly from offering traditional comfort and convenience features in affluent homes to encompassing more capabilities such as security and energy management in even mainstream homes due to reduced costs and features that helps consumers save money and preserve the environment. ZigBee Home Automation is already widely deployed by service providers such as Comcast, Comporium, Cox, Rogers and Time Warner Cable, platform providers such as iControl, Control4 and AlertMe and hardware manufacturers such as Legrand, Schneider Electric, Centralite, Assa Abloy, Osram Sylvania and many other device manufacturers. What are some of the major advantages of the ZigBee standard over the other major wireless technologies including Wi-Fi, Z-Wave, Bluetooth and others? ZigBee was designed from the ground up to connect sensing and control networks. It is a true standards-based low power technology that is proven to be reliable, scalable while delivering years of battery life for battery operated devices such as door, window and motion sensors, glass break detectors, smoke and fire detectors, carbon monoxide sensors and water leak detectors. Its mesh topology and ability to scale to thousands of devices and to self organize and self heal is critical in machine to machine networks and the IoT which is going to encompass billions of sensing and control devices. How is ZigBee helping fuel and support the Internet of Things (IoT) movement? ZigBee was created with the vision of enabling connectivity and sensing and control capability to every day devices. The Internet of Things is now becoming a reality as the growth of devices being connected is largely fueled by low cost, low power, scalable networks in homes and buildings. Devices based on ZigBee standards and specifications provide users with systems that are more affordable, are easy to install and easy to maintain. The world around us continues to ‘connect’ in ways that was not possible before. What are some of the benefits ZigBee Home Automation provides compared to other wireless connectivity options for the home? Improved Pairing of Devices – With the press of a button, user can pair a light bulb, for example, to a light switch simplifying installation. Remote Software Updates – Users don’t have to manage anything. Upgrades can be made automatically in the background allowing consumers to get the latest features in their products without changing hardware. Battery Life Improvements – Poll clusters and sleep cycle adjustments enable longer battery life reducing both energy usage and the cost of ownership. New Thermostat Features – Remote operation and management of T-Stats improving energy efficiency in the home. New Home Security Features – Support for security keypads, key fobs, more security and safety devices expanding the ability to secure and monitor homes. Energy Management Features – Detailed electric measurement reports and ability for user installed meters to get whole home electricity information allowing consumers to make informed choices about their energy use. Does ZigBee interfere with other wireless technologies or can they co-exist in the home environment? ZigBee devices not only co-exist with other prevalent technologies like Wi-Fi in the home environment but can also be found to exist side by side in the same device. ZigBee is designed to operate effectively in the same environment with other wireless technologies. A great example of ZigBee co-existence capabilities is the deployment in The Aria Hotel in Las Vegas. There are over seventy thousand devices deployed in more than 6,000 rooms of the hotel enabling control of lights, climate, media, door locks, minibars and shade controllers by its guests. Not only do these tens of thousands of devices coexist with themselves but also with the inevitable presence of significant Wi-Fi traffic in a very demanding luxury service environment. What are some of the other device categories focused on by the Alliance and how do they all fit together? Another area of focus for the Alliance this year is our Smart Energy Profile 2 (SEP 2) standard. ZigBee technology has been deployed in tens of millions of electricity and gas meters around the world and the SEP 2 standard provides IP based information and control for energy management in home area networks for both wired and wireless networks. SEP 2 supports new capabilities such as control of plug-in hybrid vehicle charging, deployments in multi dwelling units such as apartment buildings and support of multiple energy service interfaces into a single premises and support for any transport based on IETF IP compliant protocols. Are there other areas of development where the Alliance is becoming involved in developing standards for new classes of devices? ZigBee has already ratified standards in emerging applications such as ZigBee Retail Services, ZigBee Telecom Services, ZigBee Health Care and ZigBee Light Link. Such applications are expected to grow rapidly over the coming years as the Internet of Things proliferates. In fact, just a few days ago, The Connected Lighting Alliance comprising of world-leading lighting companies such as GE Lighting, Lutron, OSRAM, Panasonic, Philips and Toshiba announced its endorsement of ZigBee Light Link as the preferred common open standard for residential connected lighting applications. This not only simplifies choices for both lighting companies and consumers but also firmly establishes ZigBee as a pivotal technology for realizing the vision of the Internet of Things. Tobin was appointed Chairman and CEO of the ZigBee Alliance in February, 2013. In this role he works closely with the Alliance Board of Directors to set strategy and then implement programs designed to advance the adoption of ZigBee standards. Prior to this role, Tobin served as the Director for Smart Energy, where he was focused on driving adoption of ZigBee in key smart energy markets. 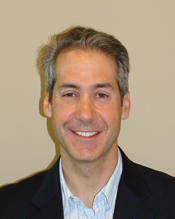 Tobin has more than 15 years experience in strategic management and marketing for technology firms and organizations. In 2008, he directed PG&E's smart meter upgrade RFP, following three years with the California utility working with the executive team on the company's transformation process, managing stakeholder and regulatory relationships and initiatives. Prior to PG&E, Tobin directed and led business development and stakeholder management for a broad spectrum of technology and large-scale companies, including Affiliated Computer Services (ACS), numerous U.S. federal agencies, CenterBeam, Pandesic and Georgetown University. He led the turnaround of a key business unit of Georgetown University, helped drive an inter-agency initiative for the U.S. Customs Service and led new business development and strategic partnerships for an IT outsourcing firm based in Silicon Valley. Tobin has managed strategic partnerships with technology industry leaders, including Microsoft, Intel, Dell, and SAP in technology and marketing initiatives. Tobin currently serves as Secretary for the U.S. Smart Grid Interoperability Panel's Testing and Certification Committee, Co-Chair of NAESB's Energy Usage Information standard committee, and participates actively on NEMA's Smart Grid Task Force and the CEA'S Smart Grid Working Group. Tobin holds a masters from Georgetown University, and a bachelor's degree from the University of California, Davis.